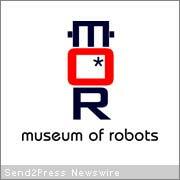 SAN FRANCISCO, Calif. — Museum of Robots in Second Life will announce the winners of its first annual “Build-a-Robot” Competition at an event on July 19, 2008 at 9:30 a.m. PDT. A Linden dollars prize will be awarded to 10 winners and all entrants receive a merchandise prize. Winners will be selected by a panel of judges and by popular choice. Entry Classes include Standalone display, Wearable, and Homage to Classic Robots. Competition entries are currently on display at Museum of Robots (www.MuseumofRobots.com) and will remain on exhibit through August. The Museum is located at (http://slurl.com/secondlife/Kubrick/98/161/26).